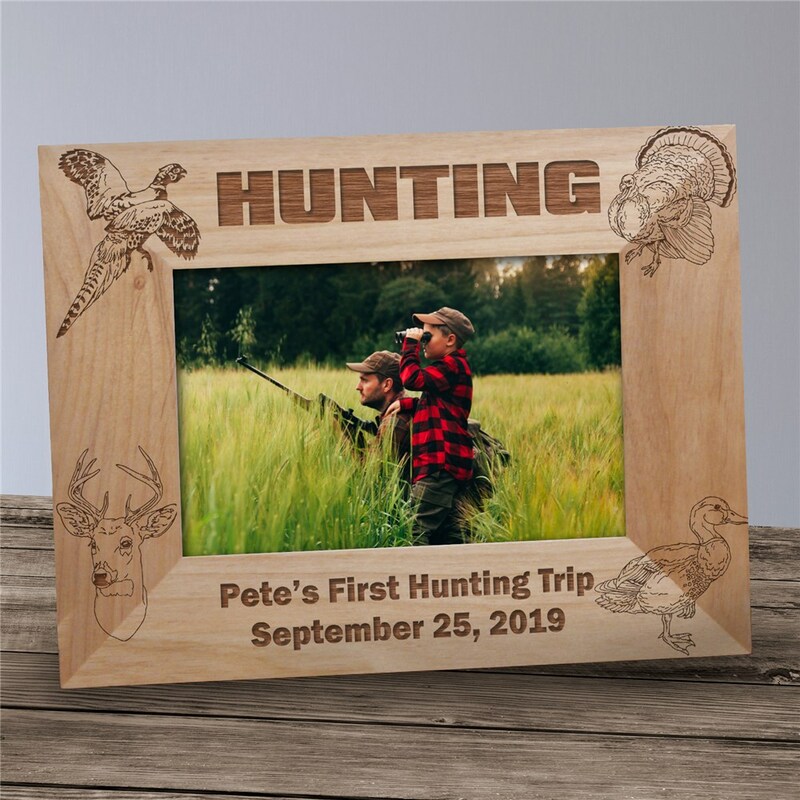 Your favorite hunting photo will be admired and stand out among the rest once placed into this handsomely Hunting Engraved Wood Picture Frame. Your whole hunting crew will also appreciate our personalized hunting gifts displaying a favorite photo of their best hunting excursion. Create unique hunting gifts that are sure to be loved by your entire hunting club. Our Engraved Deer Hunting Wooden Picture Frame comes in three sizes, please choose from, 4"x6, 5"x7" and 8"x10". The Engraved Hunting keepsake frame features an easel back that allows for desk display. Engraved hunting photo frame includes FREE Personalization! Personalize your Deer Hunting Wood Photo Frame with any two line custom message on the bottom of the frame. Additional Details At GiftsForYouNow, you will find a large collection of Personalized Hunting Gifts for anyone who enjoys spending their free time hunting. Browse through our collection of Personalized Fishing and Hunting Keepsakes for any man or woman to enjoy. You favorite hunter will also enjoy our Engraved Upland Hunting Picture Frame and our Engraved Deer Hunter Picture Frame as well.